Barbour olive waxed cotton snap-on hood. 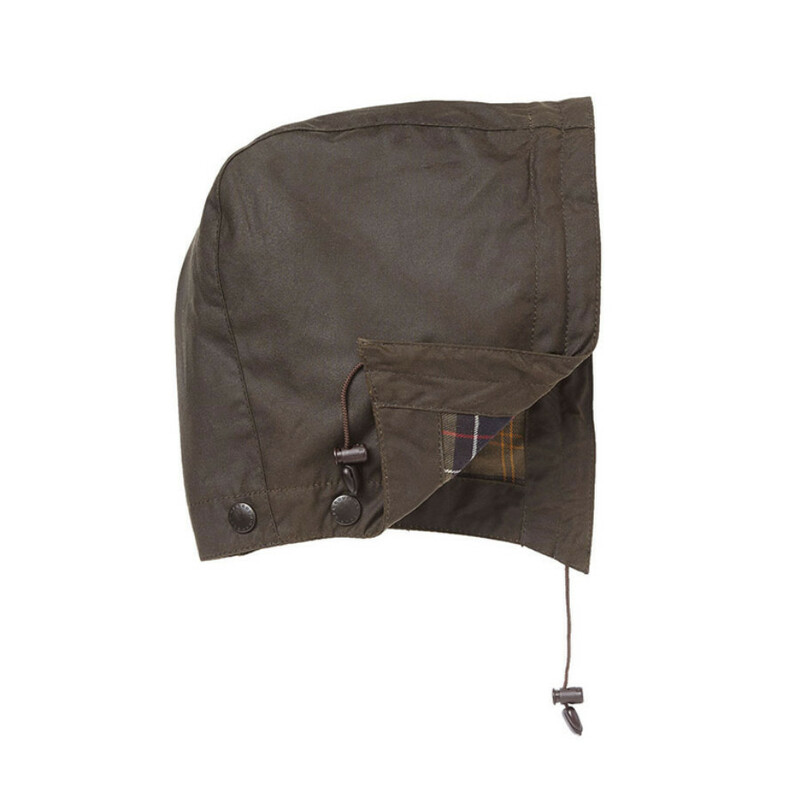 This hardwearing waxed cotton Barbour hood is designed to fit the Barbour Beaufort and Classic Olive Bedale jacket. A snap-on hood that completes your Barbour outfit. Your size might be available in store, please contact our Customer Service at +33 (0)2 98 85 47 37 for any online order. Barbour is established in 1894 in South Shields by John Barbour, who wished to create robust, waterproof wear, adapted to rough weather, for the workers’ communities of North-Eastern Scotland. Waxed cotton was then a true revolution, in comparison to the stiff cotton jackets that docker workers and fishermen used to waterproof with tar and fish grease. This new material enabled to craft jackets of better quality, much more comfortable and easy to wear and altogether weatherproof. Barbour has always been a family story and a family business, faithful to its exceptional knowledge and popular amongst royal personalities and media celebs. Until today, Barbour jackets are handmade in the Simonside workshops of South Shields, and more than 100 000 jackets are produced each year. Each Barbour jacket feature a brass ring on the front zip, a stormfly flap with snap buttons, two bellowed pockets, two handwarmer pockets lined with moleskine and the traditional velvet collar with snap buttons for an additional hood. Barbour vest waxed cotton for urban and rural wear. The Classic Olive Barbour Bedale waxed jacket is an all-time hardwearing and stylish favourite. Inner tartan lining: 100% cotton. Use clean sponge or cloth only.